The 11th Annual Greensboro LUNGe Forward 5K Run, Walk & Rally is scheduled for November 10, 2018. Sponsored by Parks Chevrolet Kernersville, the family-fun event supports the Lung Cancer Initiative, North Carolina's leading non-profit organization. KERNERSVILLE, N.C. - Nov. 6, 2018 - PRLog -- Participants are encouraged to embrace all their lungs can do, making it possible to run, walk, laugh and dance – and celebrate the lives of lung cancer survivors. The event also honors the lives claimed by the disease and the military veterans affected by it. In fact, the brave men and women who served our country are impacted by lung cancer at a rate exponentially higher than the public – an often-overlooked statistic that deserves the spotlight this Veteran's Day. The event's online registration deadline is Wednesday, November 7th at 11:59 p.m. The mail-in registration deadline is Monday, November 5th. Registration is also available at Packet Pickups on Thursday the 8th, Friday the 9th and on Race Day itself. For packet pickup options:https://www.lungeforward.org. The LUNGe Forward Run, Walk & Rally, sponsored by Parks Chevrolet Kernersville, will begin at 8 a.m. in Center City Park. The 1K will begin at 9am and the 5K will begin at 9:30am. Family-friendly entertainment will be provided throughout, culminating with a Post-Race Celebration featuring music as well as brats and beer for of-age participants from The Kitchen + Market at Revolution Mill. "We can't wait to join everyone in downtown Greensboro on November 10th," said Adam Parks, President of Parks Chevrolet Kernersville. "The 11th anniversary of this event serves as a reminder of our ongoing mission to support those fighting lung cancer. We're proud to be part of an event dedicated to celebrating survivors and honoring the lives lost. We encourage anyone interested to join us and if they haven't yet, to register today." Lung cancer is the leading cause of cancer death in both women and men, taking more lives than breast, colorectal, pancreatic, kidney, lymphoma and prostate cancers combined. The five-year lung cancer survival rate has barely budged in the past decade, inching up from 15 percent to 18 percent. The efforts of the Lung Cancer Initiative aim to change these dismal statistics and give hope to those battling lung cancer. Proceeds from the Greensboro LUNGe Forward 5K Run, Walk & Rally will benefit the Lung Cancer Initiative's local research, awareness, education and access programs across North Carolina. The Lung Cancer Initiative has partnered in funding over $425,000 in lung cancer research this year in North Carolina, including research fellow Mike Soike, MD, who is at Wake Forest Baptist Medical Center and was awarded a $25,000 research grant for 2018 – 2019. 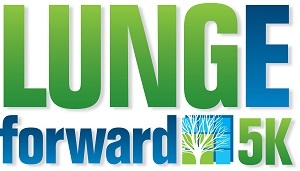 To register, donate, sponsor or volunteer for November 10th's Greensboro LUNGe Forward 5K Run, Walk & Rally, please visit https://www.lungeforward.org. Founded in January of 1967, Parks Chevrolet has enjoyed market leader status for vehicle sales and service in North Carolina's Triad region for over five decades, including the sales of new Chevrolets and pre-owned vehicles, service, maintenance, collision repair and aftermarket accessories. Additional information about all that Parks Chevrolet Kernersville offers to help area residents meet all their automotive needs can be found through the company website at ParksChevy.com and through their Facebook page at Facebook.com/ParksChevy.